Spelt contains gluten and is therefore very suitable for biscuits and cakes but also for making pasta. 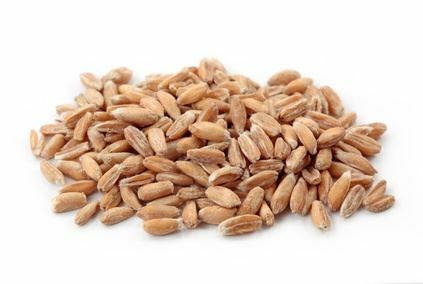 Its slightly nutty taste makes it popular for spelt muesli or spelt flakes. The grain species spelt is part of the Poaceae family, closely related to today’s wheat. As early as 15,000 years ago, spelt was eaten in south-west Asia, in the New Stone Age it became established in Europe, too. Today, spelt is mainly grown in southern Germany, Switzerland and Belgium. Spelt has more vitamins and mineral nutrients than its close relative, the wheat, especially the important B-vitamins and phosphorus. Also noteworthy is its high content of silica. Spelt contains gluten, making it unsuitable for people with celiac disease, but it can be a good alternative in case of wheat allergy. For toddles, spelt also replaces wheat more and more because it is well tolerated.